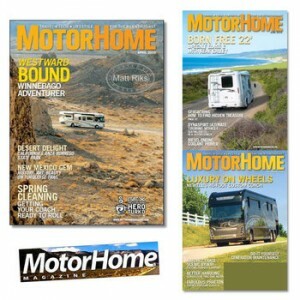 $4.99 For MotorHome Magazine Subscription Through 1/10 | A Savings WOW! Here’s a great deal on Tanga for a 1-year subscription to MotorHome magazine (12 issues). Normally, $47.88, you can get a subscription for only $4.99 when you use the coupon code MOTORHOME at checkout through January 10th at 8:59 PM CST. MotorHome Magazine has all you need to make your motor home experience complete: product and equipment reviews, profiles of fellow mobile home owners and super photography detailing the latest designs. Order your MotorHome magazine subscription for only $4.99 today!